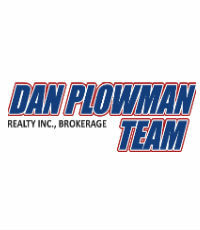 As the leader of both a top real estate team and his own training company, Dan Plowman has a lot to say about what makes a winning agent. The phrase “drop the ball” comes up repeatedly when talking to Plowman, most frequently when it comes to following up with clients. Plowman says most agents come up short in two major areas: lead conversion and referrals. After a lead has been generated, Plowman says few agents “are very good with follow up. They drop the ball if they need to call somebody back four, five, six times. Statistically, numbers show me that you have to contact someone on average seven to ten times before you get an appointment, never mind a deal.” Plowman estimates that 80% of business is the result of follow-ups. “In other words I’d be doing 80 percent less business if I just counted on field reps to do the follow-up work.” Plowman has multiple full-time agents on his staff whose sole duty is lead conversion.